Should you stay in KDP Select or go wide? “Should I enroll in KDP Select or go wide with my books?” This is a question that every author asks themselves at one point or another. Unfortunately, there is no right or wrong or black and white answer to this question. There are pros and cons to both, along with things to consider for both that will help you make your decision! What is KDP Select and what does “going wide” mean? In case you are a new author and don’t know what either of these mean, I will break it down for you. If you are well aware of what these mean, scroll down to the next bold point. When you publish your book on Amazon, you will be asked whether or not you want to enroll in KDP Select. KDP Select is a program Amazon offers to authors, which makes your book eligible for subscribed Kindle Unlimited Readers to read for free. You do not get paid when your book is downloaded, instead you are paid for each page read by the author. “Going wide” means your book is published on other platforms alongside of Amazon, such as KOBO, Smashwords, iBooks, and more. You may be asking yourself, “Why do I have to choose between the two? Can’t I do both?” The answer is NO. When you enroll in KDP Select, you are also agreeing to Kindle exclusivity, which means you are not allowed to publish your books on any other platform. One benefit to KDP Select is they get your book in the hands of readers who may not have ever picked your book up without being able to download it for free. This isn’t to say you aren’t a good enough writer for them to buy your book, it’s just a natural thing for readers. Readers have their favorite authors they generally like to stick to. They aren’t as willing to pay money for a book from a new author, especially if it’s an author that is not well known, unless they get to read it for free. Even though your book is being downloaded for free by the reader, you will still get paid when they start reading it, so it’s a win-win. Amazon wants you to be enrolled in KDP Select because they want to continue monopolizing the book market, so they reward you for being enrolled in KDP Select by using algorithms to push your book out a bit more than if it were not enrolled. Another way Amazon rewards you for being enrolled in KDP Select is allowing you to run free and discounted promotions on your book. This helps you to get the word out about your book even more; and you are not allowed to run these promotions if you are not enrolled in KDP Select. You are limited to publishing only on Amazon. Now, this is where you need to really consider how bad of a consideration this really is or isn’t. Let’s take a look at the graphic below. 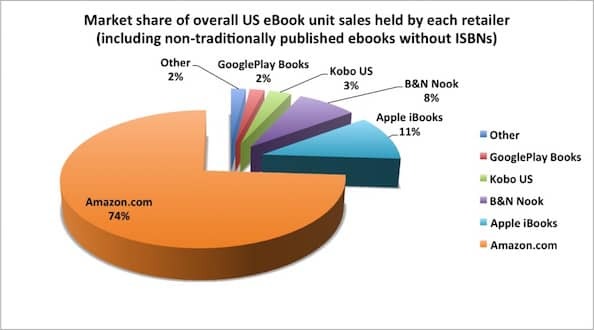 When looking at the graph above, it’s clear as day that most books around the biggest ebook consuming countries are bought on Amazon. So, how bad is it really that your limited to Amazon? That’s up to you to decide! If you come a country who sells most of their books on another platform, maybe KDP Select isn’t the best option for you. If you’re someone who disdains companies who are monopolizing markets, then the fact that Amazon is doing just that may be enough for you to decide not to enroll in KDP Select, as this help them continue to do that. Another downside is that while you are being paid for each page read, you are usually not being paid fair for these page reads. However, like I said before, a lot of these downloads and page reads are from readers who probably would not have bought your book without it being free to them, so those royalties from your page-reads probably wouldn’t be there anyway. Another downside is that, not only are you not allowed to publish your book on any other platforms, you also cannot distribute it for free anywhere either. For example, a lot of authors like using platforms like Prolific Words, Booksprout, and Wattpad to distribute their books for free to get more exposure, reviews, and maybe even to get more newsletter sign-ups. If you are enrolled in KDP Select, you cannot utilize these platforms. If you go wide, you have the ability to sell your books on all platforms, and not only Amazon. You have complete freedom to distribute your book however and wherever you want. The thing I like most about being wide is not the sales (I had way more luck with KDP Select with sales than I do being wide), but the freedom to do with my book whatever I want. I like using booksprout to get reviews. So, my strategy moving forward will be to spend the first month or so that my book is publish utilizing all the platforms to distribute my book for reviews and such, then throw it into KDP Select to get more royalties and exposure. If you like being able distribute your book on Amazon for free when you are enrolled in KDP Select (through KU and free/discounted promos), you can make your book free on other platforms, then email Amazon asking them to match the price on your book. When you do that, they will mark your book for free on Amazon because they don’t want other platforms to have the upper hand. This benefits because you are still able to have it free on Amazon, but keep in mind, you won’t get paid for page-reads like you would if it was being read on Kindle Unlimited. You are limiting yourself from being able to utilize the biggest ebook distributor (Amazon) and all it has to offer that going wide doesn’t: KU readers and free/discounted promotions. All in all, my experience has been very clear: KDP Select gets me far more exposure than going wide. To give you an example, I was getting page reads every day in KU, but since I have been wide for months now, I have had ONE sell on platforms other than Amazon. One. ONE! For me, that makes the decision. Now, a lot of authors tell me that I need to give “going wide” a year or two to build enough momentum on other platforms to see real success. I know authors who have found success with going wide, so I’m sure it depends on the way you market. It seems like a lot of authors view “going wide” as a mark of success because most of the well-known authors are wide. When I first decided to go wide, my thought was this, “If most well known authors are wide, then I’m going to do what the successful people do.” However, from my experience and research, it seems like going wide will be a better option once you are a legitimately well-known author. For me, I am not ready to commit to going wide, but will try it again later in my career. What it all boils down to is personal preference and experimentation. Figure out, based off the information I’ve given you, and other research you should do, whether or not you think the pros of KDP Select and going wide outweigh the benefits, and visa versa. Experiment with both. 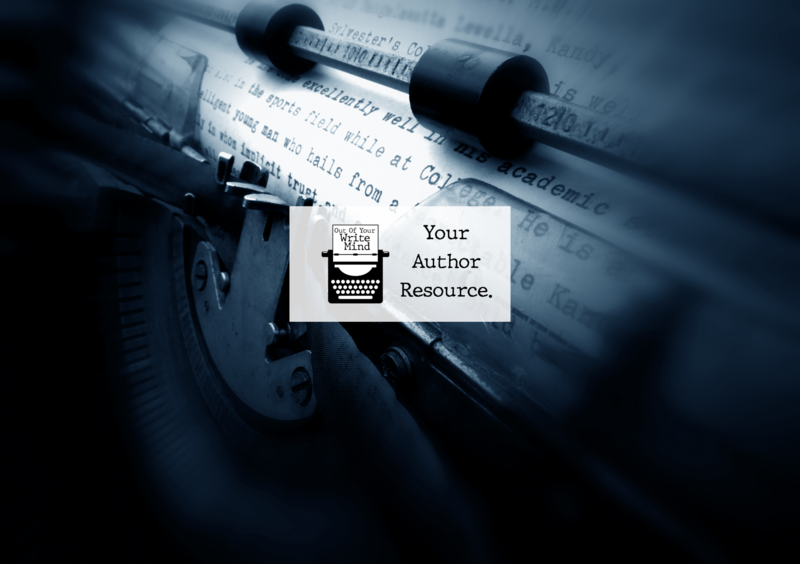 Enroll your book in KDP Select for awhile and see how it does, then publish it wide to see how it does. What has been your experience with going wide and/or KDP Select? Tell us in the comments! Spot on with this write-up, I absolutely feel this amazing site needs a great deal more attention. I’ll probably be returning to read through more, thanks for the info!